Silent Type Timing Chain Water Pump Kit 93-03 Dodge Dakota Ram 3.9L OHV V6. 93 - 03 DODGE DAKOTA/ DURANGO/ RAM 1500. 3.9L (3906cc/239ci) OHV V6 12V, "MAGNUM". 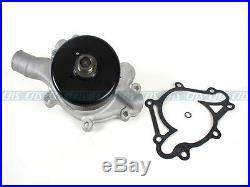 Brand New Engine Timing Chain Water Pump Kit(SILENT TYPE CHAIN). 93 - 03 DODGE DAKOTA 3.9L 239ci OHV V6 12V, VIN CODE "X". 99 - 99 DODGE DURANGO 3.9L 239ci OHV V6 12V, VIN CODE "X". 94 - 96 DODGE RAM 1500 3.9L 239ci OHV V6 12V, VIN CODE "X". 1 Timing Chain (68 links - silent chain). 1 Tensioner Rail (damper for chain). 1 Cam Sprocket (46 teeth). 1 Crank Sprocket (23 teeth). 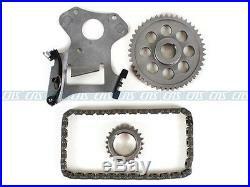 This timing chain kit is designed for the professional installer. It does not come with any installation instructions. If you do not have a service manual, please consult a professional mechanic prior to installing this kit. Please refer to the listing pictures for an accurate description of the parts included in the kit. THE TEAM ARE HAPPY TO HELP. &###xA0; &###xA0; &###xA0; &###xA0; &###xA0; &###xA0; &##xA0. UPS Ground Service / UPS 3 Day Select / UPS 2. Day Service / UPS Next Day Service - Domestic. UPS Worldwide Expedited - International. &###xA0; &###xA0; &###xA0; &###xA0; &###xA0; &###xA0;&###xA0; &###xA0; &###xA0;&##xA0. &###xA0; &###xA0; &###xA0; &###xA0; &###xA0; &##xA0. &###x200B;&###x200B;&###x200B;&###x200B;&###x200B;&###x200B;&###x200B;CNS Autoparts strives to provide 5-star customer service. There are no exemptions and guarantees the quality of the components you receive. We firmly believe&###xA0;our parts are free from any defects in workmanship, material and that all manufacturing is processed under a strict quality control environment. Our goal is to provide our customers with the best products at the best price without compromising quality. We have been operating an engine business for over 20 years. We specialize in engine gaskets and engine rebuilding kits. All of our gaskets are specially made to meet or exceed OEM standards and performance requirements. We hope to continue to grow domestically and expand internationally. We will do everything we can in order to build your trust and business. 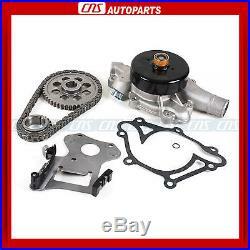 PART NUMBER: TK6050WP 93 - 03 DODGE DAKOTA/ DURANGO/ RAM 1500 3.9L (3906cc/239ci) OHV V6 12V, "MAGNUM" Brand New Engine Timing Chain Water Pump Kit(SILENT TYPE CHAIN) Application 93 - 03 DODGE DAKOTA 3.9L 239ci OHV V6 12V, VIN CODE "X" 99 - 99 DODGE DURANGO 3.9L 239ci OHV V6 12V, VIN CODE "X" 94 - 96 DODGE RAM 1500 3.9L 239ci OHV V6 12V, VIN CODE "X" Package includes ---1 Timing Chain (68 links - silent chain) ---1 Tensioner Rail (damper for chain) ---1 Cam Sprocket (46 teeth) ---1 Crank Sprocket (23 teeth) ---1 Water Pump Special features ---This timing chain kit is designed for the professional installer. --Please refer to the listing pictures for an accurate description of the parts included in the kit. The item "Silent Type Timing Chain Water Pump Kit 93-03 Dodge Dakota Ram 3.9L OHV V6" is in sale since Wednesday, March 06, 2013.